Actually, this is the suit I'm looking for. For the first time, I've ventured into the world of Opposuits/Shinesty. 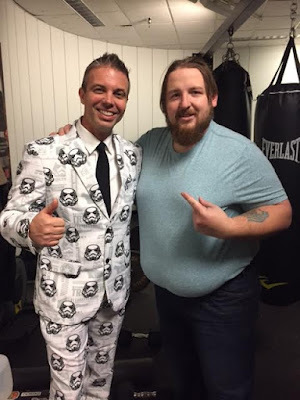 My friend Tom Harness has a collection of these suits, including several Christmas ones he does a yearly fundraiser with. I always wanted one of these suits but didn't want to look like I was trying to steal Tom's thunder. 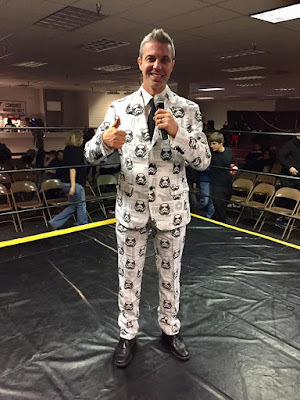 Earlier this year I borrowed the jacket to Tom's purple suit for a Stride Pro Wrestling show because I had loaned out my usual sparkly red jacket. In April, Chad revealed an Opposuits suit when we went to the WWE Hall of Fame ceremony. As you can imagine, it attracted a lot of attention. 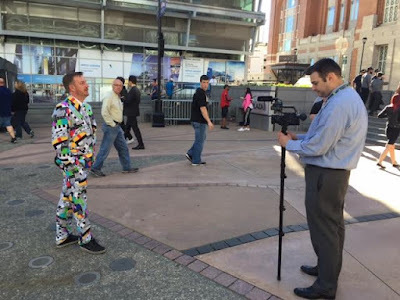 He was even interviewed by a WWE film crew for a show on WWE Network. I didn't want just any Opposuit. I've actually lobbied the company for a Lucha mask suit. I even sent them a few design ideas, that according to an email from them "they're considering." 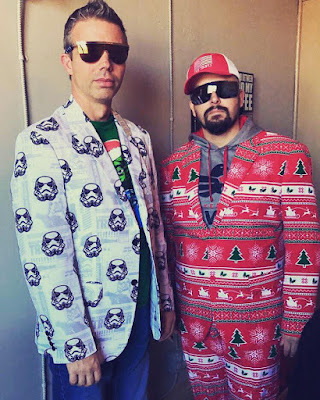 Not long ago a couple of Star Wars suits were released. They both caught my eye and I had talked with Tom about ordering one. At that time one wasn't in the budget. But when Stride Pro Wrestling announced the December show was going to be a Star Wars theme, I knew I had no choice. Tom ordered the Strong Force suit and I got the Stormtrooper suit. I kept it mostly under wraps until showtime. I put it on backstage and got plenty of compliments on it. Then when it was time for me to make my way to the ring and announce the show, I came out with a Stormtrooper mask on and then revealed myself. Several fans and wrestlers asked to have a picture taken with me and the suit. It went over very well and I was asked probably a dozen or more times where I got it. 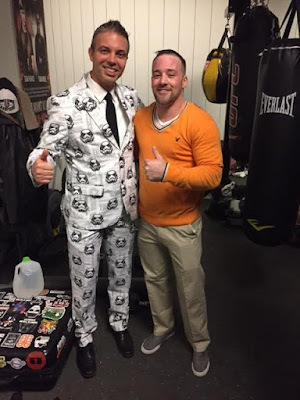 So here's the link to both Opposuits and Shinesty. I hope to wear mine again on air on Star Wars Day (May 4, 2017). But I'm looking for other opportunities to show it off too.